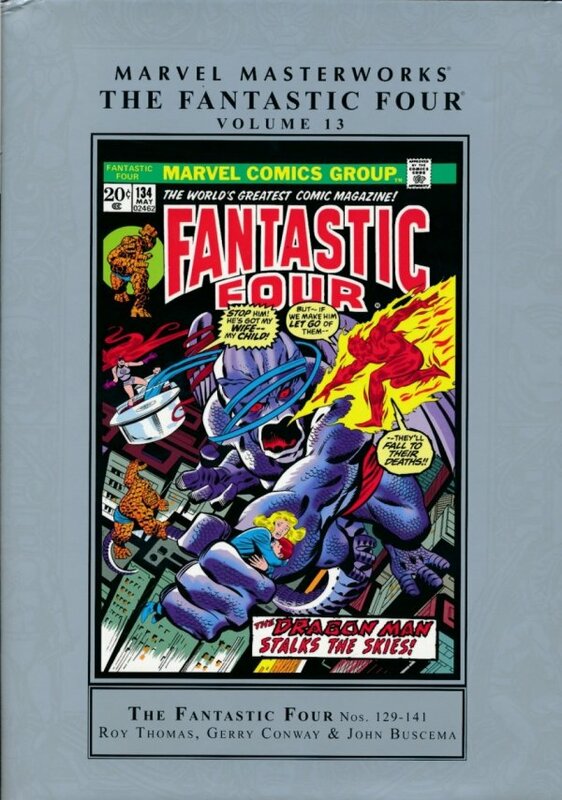 The MARVEL MASTERWORKS march on with the next collection of incomparable FANTASTIC FOUR adventures! When the Human Torch skips out for the Inhumans' hidden city and his girl Crystal, he doesn't find the reception he planned for when Quicksilver greets him. Meanwhile, the Frightful Four launch a surprise attack with their newest member - Thundra - that pushes Reed and Sue to the breaking point. Once the dust settles, the FF will be one fewer - because the Invisible Girl has quit! Of course, we wouldn't have the makings of an FF/Inhumans epic if Maximus the Mad didn't rear his head and make a power play for the Inhuman throne. By the time all is said and done, the Human Torch will be sporting a fiery new costume, and the Inhuman Queen Medusa will be the FF's newest member. And that's just for starters! Ahead of you are classic battles between the Thing and Thundra; the return of the towering Dragon Man and Gideon; the world's creepiest babysitter, Agatha Harkness; a bizarre trip back to the '50s courtesy of the Shaper of Worlds; and a reunion with Wyatt Wingfoot in a fight against one of the FF's oldest enemies, the Miracle Man! To top it off, we're also including a trip to the Negative Zone and the origin of its truly evil inhabitant, Annihilus. The villain's plan to harness the enormous powers in Franklin Richards will devastate the FF in a story that changed the Marvel Universe forevermore! So don't hesitate: Celebrate 50 years of FANTASTIC FOUR - the World's Greatest Comic Magazine - and reserve your copy today! Collecting FANTASTIC FOUR (1961) #129-141.